My v5 USB Resler IBUS interface turned up a couple of days ago, i paid for navcoder, but didn't have drivers on windows 7. So i went to Rolf's website to download them, and found that he is now selling only v6 (looks like a USB dongle, and comes with leads to wire into car) so mine is obsolete already. Dont suppose anyone wants to buy my v5 so i can buy a v6? MY V5 also arrived within the last week and I went to check the pinout first thing this morning and saw the V6. I was dismayed at first, until I realised the V5 with the USB B interface and standard 0.1inch pitch actually suits me better than the V6. 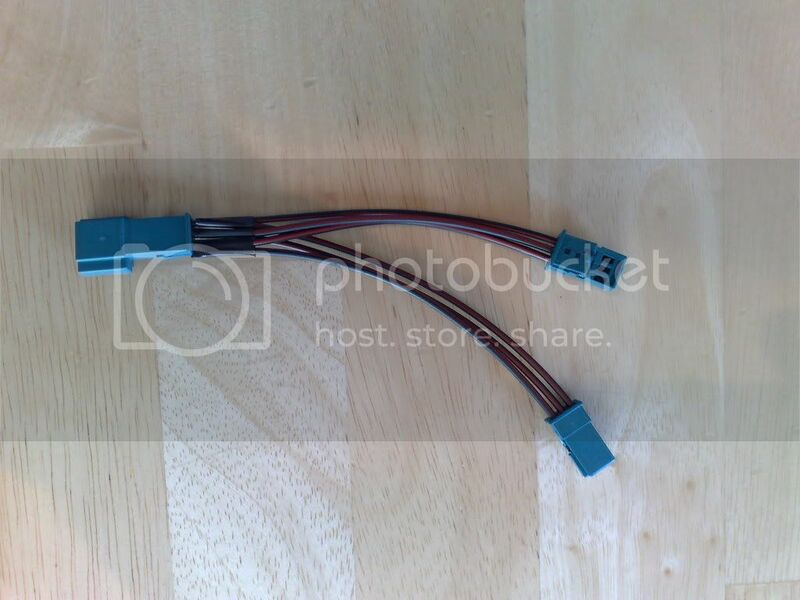 I have tons of USB B cables around, and I can build 0.1inch pitch connectors over and over, without worrying about having a V6 that gives you 1 chance to damage the wiring. i have lots of cables, but dont have anything to join onto the pins with. V6 would have been ideal and i would have been prepared to wait for it. I guess he had v5 stock to get rid off but i'm just not happy! For me the 0.1inch (2.54mm) pitch is so very common that we have loads of suitable parts from old projects in my toolbox [ie: from stores at work ]. thats ok if its available, even if i had a bucket load of the connectors, v6 is just more appealing to me! but I will probably make a 2.54mm pitch connector (I have a suspicion the CD Changer will plug right in so am holding off) later. I had one of the forum members/vendors make me an IBus splitter. The cable plugs into my Sirus adapter with a second Ibus adapter on it. I plug into said adapter with my Resler adapter. I have legacy Resler adapter and put it in a very small plastic case. Why not just send him an e-mail asking for an exchange or something. He's a reasonable guy and this is a hobby not a major company doing it. Here are some standard 2.54mm pitch connectors, avaialble from Farnell or RS. I'm going to make a passthrough for the CD changer with them. That way I connect the i-bus interface without the need to disconnect the changer. Plug and play and the OEM plug fits the resler, (although I made my own from the schematic that come with navcoder).